linzlinzlinz: In Love With a 5K: Take 2. In Love With a 5K: Take 2. Earlier this year I confessed that I'd fallen in love with a 5K. I fell in love with it the very moment that I saw it advertised. I registered within minutes. No questions asked. I love fun. In fact, I love it so much that when I'm asked to write a short bio for 'this or that,' I typically just write, "I like fun." It's ingrained in me and my family can attest that I came to this earth just programmed that way. In addition to my draw to anything that could remotely be perceived as 'fun' I am also very passionate about color. It sounds cheesy, but I can't really articulate the love I have for color. Yes, my higher education was focused around the fine arts, so there been times I've been engulfed in the literal study of color, but I'm just as entranced by a big box of Crayola crayons. I love color. Someday I'll be able to explain why but for now, we'll leave it at that. So, here we are. I love fun. I love color. I love community. Can the Color Me Rad races be summed up any better? When we ran the race earlier this year, the whole gang didn't get a chance to participate. I left the husband home with the 3 year old (then 2 year old) and the rest of us ran it without them. Now that some time has passed, I'd come to the conclusion that we'd ALL run it together, the next chance we had. Color Me Rad is back in Utah. Yes, that's right. Not only is it back in Utah, but it happens to be in one of my favorite cities - St. George! Can you imagine all this color ON TOP of the amazing color they already have there? I have goosebumps. Seriously. Thanks to the incredible folks at Color Me Rad (and trust me, they're awesome) I'm giving away two race registrations or the upcoming race in St. George on Saturday, November 10th! Details for the race can be found here. Now... this is not all. If this wasn't cool enough already (which it is) then let me sweeten the deal. Not only will the winner of this giveaway be awarded 2 race registrations, they'll also be the lucky winner of an overnight stay at the Best Western, Abbey Inn, in St. George! We love this hotel. It's spacious, comfortable, and even offers a full breakfast buffet for it's guests. It also has over 5000 square feet of meeting space that can accommodate fun such as weddings, birthdays, religious events and more! You really can't go wrong there. The winner will be booked for one night in a double-queen standard or king room, November 9th-10th, as the race is 11/10. Don't trust me. 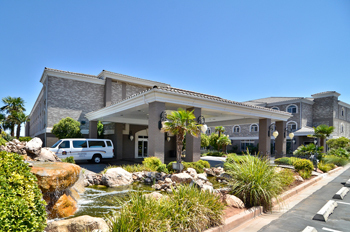 The folks at Tripadvisor have it listed as the #3 best hotel out of 45 in St. George. You want this. Check out the list of ways to enter below. Good luck! You had me at "St. George." Sounds awesome! Race? Free awesome race? meeeeeeeeeeeeeeeeeeeeee! I've run 3 5Ks and would love to do many more! Me and my hubby SO need this trip. We just had the all-time worst travel experience both to and from California which involved a breakdown and so far $4,700 worth of car repairs. We'd like a free trip alone now. Lindsey I just need to plug into your race schedule. After the Dirty Dash my wife and I are hooked on the fun run types. 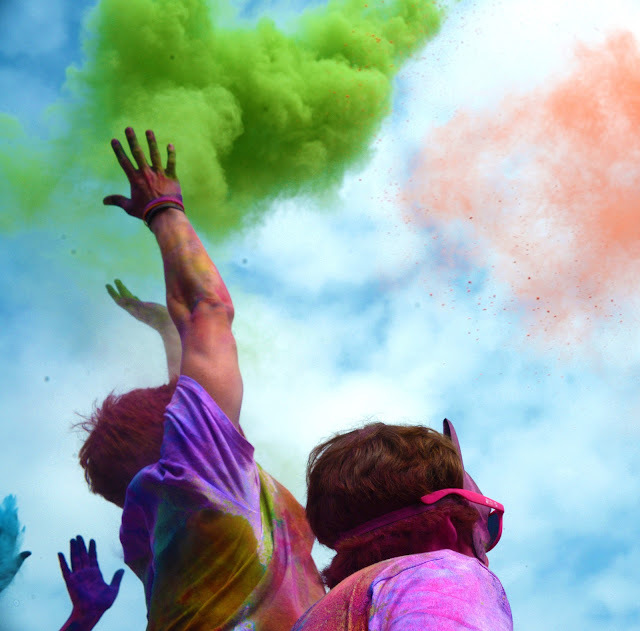 We also love the Color Fest that happens every year in Spanish Fork at the Krishna temple. So coupling these two things together is brillant! Paul, I'll be disappointed if you don't enter. I'll also be disappointed if you don't run in a dress again. I would love love love to win this! I've been wanting to do a 5k and this looks like the perfect one to start with! Fun blog Lindsey! 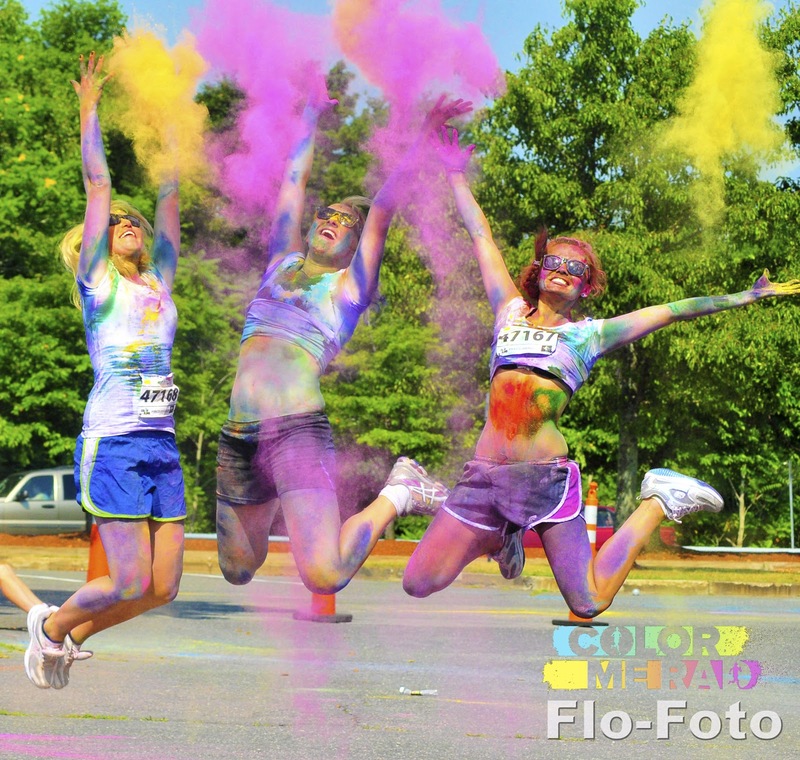 Color me Rad sounds awesome. You should see my 5K's. You'd shoot yourself. I have only ran one and I almost died. I would love to run this one with my son. ok, ok, ok. I get it. You know I want it. I hope I win. Fingers and toes crossed, twice!